Evie Cressy is a hard­working, outgoing, and goal-oriented servant leader. She values passion and generosity in others and strives to better the lives of those around her in all she does. These attributes have led her to be a leader on her soccer and tennis teams, and in the South Bend/Mishawaka community. When Evie is not at school, practice, or club events, she volunteers at BuddyUp Tennis and Riverbend Cancer Center. Through her volunteering, she strives to spread joy to all those she interacts with. Her curiosity and determination have led her to great success, specifically with her involvement in National Honors Society and Youth Leadership. Evie embraces each new day as an opportunity and is eager to accept the challenges presented to her. 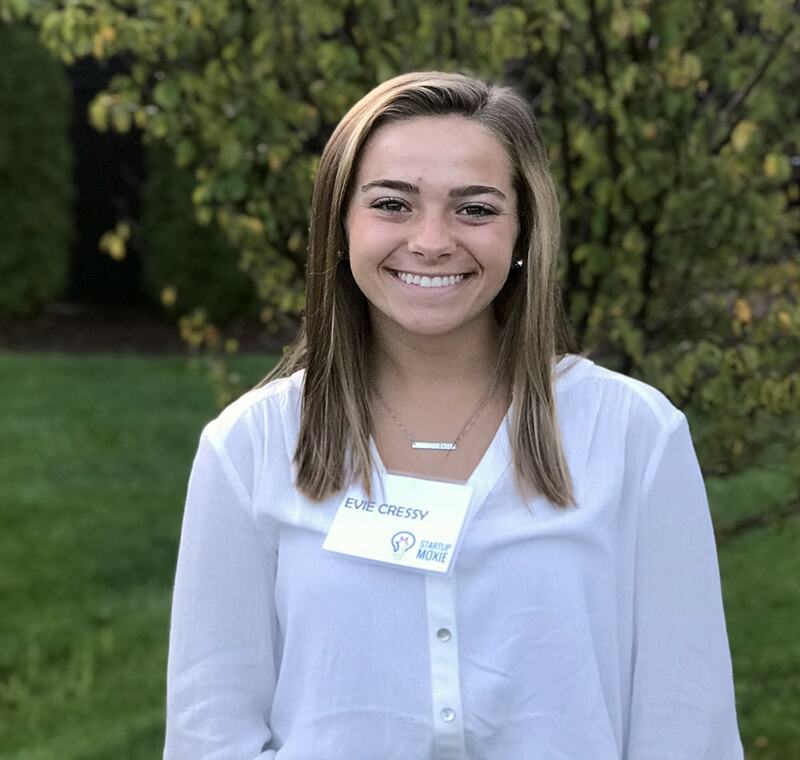 Through Startup Moxie, Evie hopes to make connections in the South Bend/Mishawaka area and leave a lasting impact on the community.